Need a quick dessert, treat or gift idea to complete your last minute holiday list? 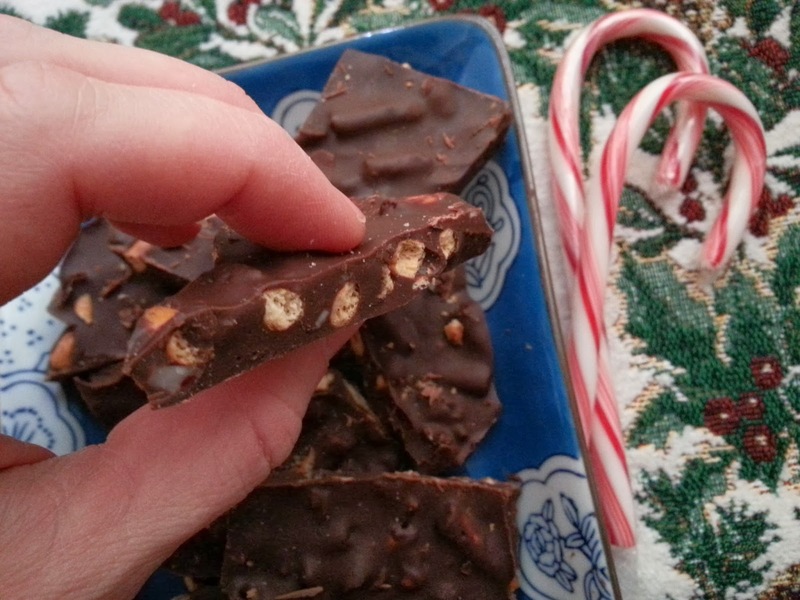 Homemade chocolate pretzel peppermint bark is probably one of the easiest things you could make. Oh, and it's so tasty too! 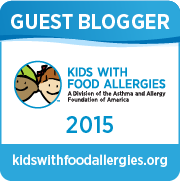 Of course, I made mine food allergy friendly so it's dairy-free and nut-free. 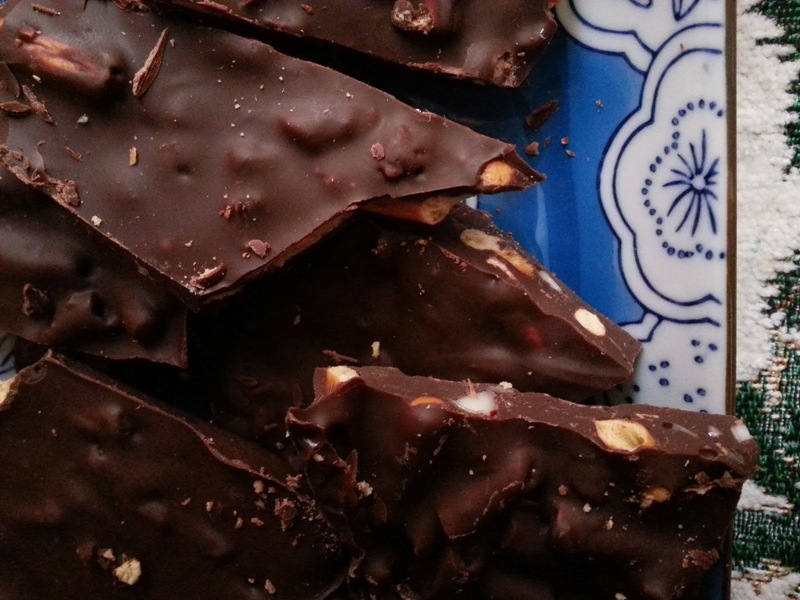 I used Enjoy Life chocolate chips and chocolate bars which are a staple at our house. I also used Glutino pretzels and Spangler's candy canes which are clearly labeled for allergens. My recipe was inspired by this recipe from Jules Gluten-Free. My version has a few variations since I wanted mine to be nut-free. Here's how I did it. I'd love to try sunflower seeds and/or Craisins as an option here too. Melt all the chocolate in a double broiler on low heat (I put a big glass bowl on top of a pan as a makeshift double broiler and it worked just fine!). Stir in the canola oil. Break the candy canes in a ziplock bag. I used a big rolling pin to break them up. Probably the hardest part of this recipe! This really tastes like a peppermint chocolate pretzel. 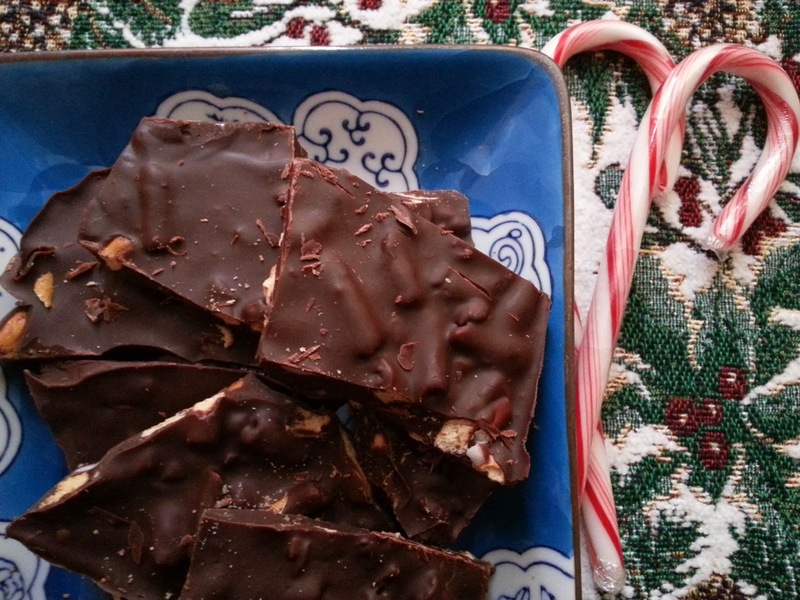 Soft yet crunchy, sweet and salty, and a holiday peppermint twist! Merry Christmas and Happy Holidays to you! Hope you enjoy! I love the flavor combination. Chocolate and salt always go together in my opinion. Thanks for sharing your recipe at Pinterest Foodie! Thanks Barb - Yes, sweet and salty is my favorite too! What a wonderful combination of sweet and salty. Easy to make too! Thanks Cynthia! They are definitely easy to make!